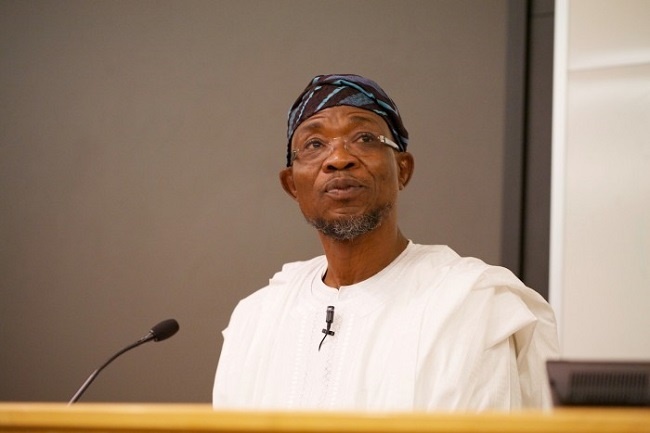 Osun State Governor, Rauf Aregbesola, has blamed the alleged financial recklessness of the past administration of the Peoples Democratic Party for the inability of his administration to pay full salaries to workers for the past 26 months. The People's Democratic Party (PDP) once again has been accused of making an All Progressive Congress (APC) government under perform. Osun State Governor, Rauf Aregbesola, has blamed the party for the inability of his government to pay full salaries to workers for the past 26 months. The Commissioner for Information, Adelani Baderinwa, gave the governor's position in a statement issued on Thursday in reaction to the 21-day strike notice given to the governor by the Council of Academic Staff Unions of Osun State Owned Tertiary Institutions. The lecturers had lamented that many of their colleagues had died as a result of hardship occasioned by half salaries and the high tax regime. Also Read: Why Is Govt Determined To 'Kill' Nigeria's Future Leaders? Apart from welfare issues, the lecturers also lamented lack of well equipped laboratories, toilets for students and poor condition of roads in the two polytechnics and 2 colleges of education owned by the state.